ISTAT Americas Registration Coming Soon! ISTAT Internship Portal – Gearing up for Summer and Graduate Internships! 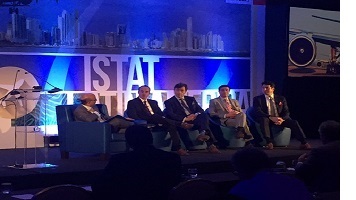 After a successful debut event in 2015, ISTAT organized its second annual ISTAT Latin America Forum on 9-10 November. The event returned to Panama City, Panama and boasted increased attendance from the prior year, including continued presence from key regional airlines. Highlights included Richard Lark, chief financial officer, GOL Linhas Aéreas Inteligentes S.A. and John Rodgerson, chief financial officer, Azul Airlines as keynote speakers, offering an inside look into the trends affecting the Latin American region, as well as a bank panel, secondary market traders panel and the airline panel featuring Azul Airlines, Avianca, Latam Airlines Group, Copa Airlines and GOL Linhas Aéreas Inteligentes S.A.
Click here for photos from ISTAT Latin America Forum. The ISTAT Holiday Receptions are returning to six locations: Dublin, Hong Kong, London, Miami, New York and Tokyo. Join ISTAT members from around the globe Wednesday, 7 December. Find out who is attending and register today. Venues may reach capacity, so make sure to secure your spot soon! The ISTAT Nominations Committee is now accepting nominations for positions that will become available on the ISTAT Board of Directors in March 2017. Nominees will be presented to the ISTAT membership via email in February 2017 and will be voted upon via an electronic process prior to and during the 34th Annual ISTAT Conference, 5-7 March 2017 at the Hilton San Diego Bayfront in San Diego, CA. Four nominees will be elected to the board and will serve from March 2017 until March 2021. Biographical sketches of the nominees should be submitted to ISTAT along with a letter of intent to run for a director position. Please send your information via email to istat@istat.org by 4 January 2017. Questions or comments should be directed to ISTAT Nominating Chairman Jep Thornton at jep@aerolease.com or the ISTAT Executive Director Julie Wichlin at jwichlin@istat.org. Housing and registration for ISTAT Americas – 5-7 March 2017 at the Hilton San Diego Bayfront in San Diego, CA, USA – will open in December. 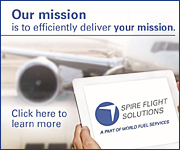 Watch your email and check the ISTAT website for additional details as they become available. ISTAT is pleased to announce these new and returning members. Thank you to Jetran International for their support and recognition of the ISTAT Foundation at the Jetran Golf Tournament that took place in Horseshoe Bay, Texas, on 28 October. 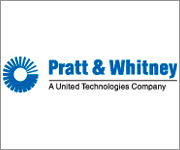 Their sponsorship and corporate donation raised $75,000 to support the Foundation’s mission of providing funds for scholarships, educational programs and grants to qualified individuals and institutions that promote the advancement of commercial aviation and humanitarianism. If you are interested in helping us raise money for the Foundation, we’d love to hear from you. Email us at istatfoundation@istat.org. The ISTAT Internship Portal will open shortly, and we would like to invite all ISTAT member companies to post their summer or graduate internship positions once they're open to ensure interest from the best candidates. The Foundation’s Internship Program acts as an intermediary between ISTAT member companies and students seeking aviation internships. Through the use of our web portal, qualified students and employers are able to match the right skills, background and interests with corporate internships. Placed interns who qualify will receive a stipend from the Foundation to cover housing and travel expenses of up to $2,500. Questions? Contact istatinternships@istat.org. The Ambassador Program initiative was created to streamline university outreach and provide cohesiveness among Foundation initiatives. Ambassadors are ISTAT members that build 'client' relationships with universities via phone calls, email correspondence and in-person visits. To learn more, please contact Kristen Chmielewski at istatambassador@istat.org. 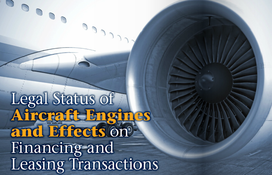 The incredible cost of acquiring engines has left airline companies almost dependent upon leasing, financing or borrowing to acquire those engines. Therefore, lease and loan agreements have already become customary between airline companies and engine lessors or financiers. Advertising space is now available in the spring 2017 issue of Jetrader magazine. Beyond our normal distribution to all ISTAT members in both print and interactive digital editions, this issue will have significant bonus distribution at ISTAT Americas in March. For year-round access to ISTAT members, please reference the advertising opportunities available through ISTAT and Jetrader by clicking here, or by contacting: Erik Henson, Jetrader media director at +1 352-333-3443 or ehenson@jetrader.org. ISTAT media allows you to enjoy direct and targeted access to more than 3,800 C-suite executives, vice presidents, chairmen, partners, principals, presidents, marketing/sales directors and managers within the global aviation community. We are now accepting article submissions for the spring 2017 issue. If you are interested in sharing your expertise and contributing to the content of Jetrader, please contact ISTAT at istat@istat.org. Daily Mail Maintaining "liberal access" to European aviation markets will be a "top priority" when the UK negotiates its exit from the EU, the Government and UK airlines have said. Aviation experts fear that flights by UK carriers could be grounded if the country withdraws from the single market for aviation as part of Brexit. The agreement, created in the 1990s, means there are no commercial restrictions for airlines flying within the EU. AVweb Like everything else surrounding the future Donald Trump presidency, the predicted impact on aviation is as varied and as, well, unpredictable as the campaign that led the country to this point. Depending on who is being asked, the predictions range from doom and gloom, through cautious optimism to somewhat less cautious optimism. 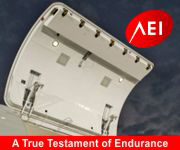 AVweb didn’t find any jubilation among the dozens of aviation reaction stories but the overall theme seemed to reflect a generally positive response with a healthy dose of wait-and-see. Xinhuanet Business aviation in China is "moving beyond infancy" as the greater aviation market continues to flourish, said the president of the U.S. National Business Aviation Association (NBAA).